Aquarelle training Lusaka Zambia January 28 & 29 2019 -Educator Alina. This educational training program is two full days of intensive, hands on training. Each student will learn about Aquarelle art and how to do this wonderful art. All types of. Different techniques for using Aquarelle will also be taught. If you would like to turn your clients nails into a piece of art this course is for you. Aquarelle (Water Paint) water paint course is a beautiful and very creative course. It has become very popular technique in 2018 as more and more clients asks for it everyday. Furthermore what is really amazing is you don’t have to be creative or a very artistic technician. You will learn how to create art you never would have believed you could do. 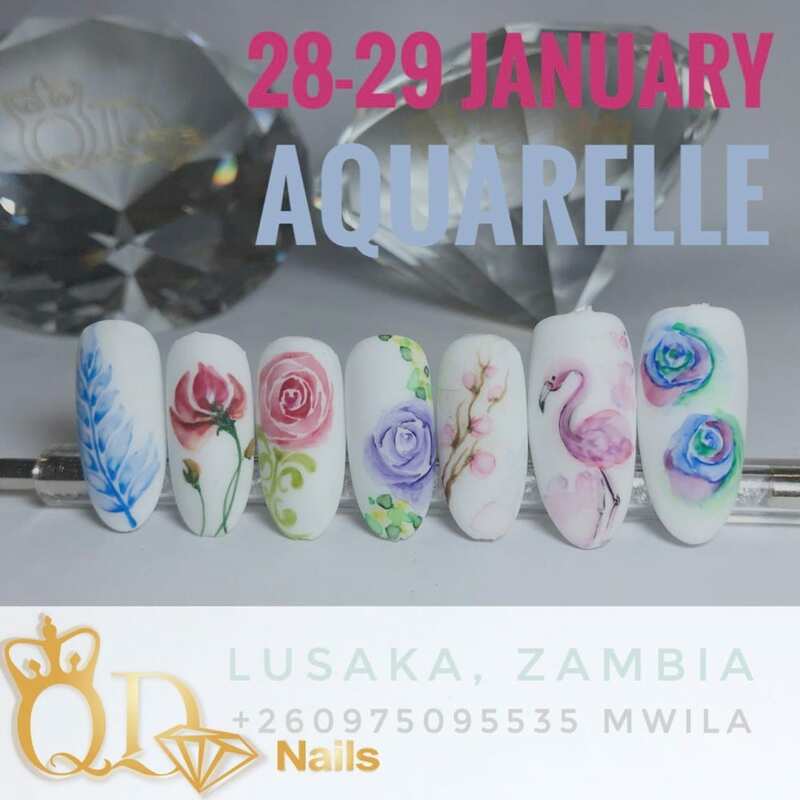 Aquarelle training Lusaka Zambia January 28 & 29 2019 , course for techs at any level! Educator-Alina. Each student will be taught how Aquarelle works and what it is. You will then be shown how to create amazing art for two full days. We guarantee you will learn so much! A Kit will be provided.